I said previously that something can feel like "nonsense" without feeling necessarily "meaningless," but today's SCP is an interesting twist in that a full explanation has been posted by the author. The SCP itself is a knife-wielding thief the foundation found embedded in an old tree, headless but otherwise functional, and whose entire body secretes unsalted butter. His fingers even end in bony tubes that can squirt even more butter, and he can use this to write, albeit poorly. The interviews are much of this SCP's charm, as its child-like mind and poor spelling are difficult not to sympathize with, even if he once went around stabbing people with the knife that is now the only object his buttery fingers can hold onto. He turned to the highwayman life only to help his poor milkmaid mother, after all, and that's our first clue to what's actually going on with this one. "A young boy in the European countryside, seeking to help his milkmaid mother out of poverty, turns to the life of a highwayman - robbing travelers at knife. One day he comes across a horse and carriage in which rides a very fancy lady who looks like she has a lot of money. He holds up the carriage and demands the lady give him her purse. The lady staunchly refuses, so the boy stabs her. The lady is infuriated and reveals herself to be a witch. She curses him to be headless and to constantly make butter from his skin, just as his mother makes butter all day. 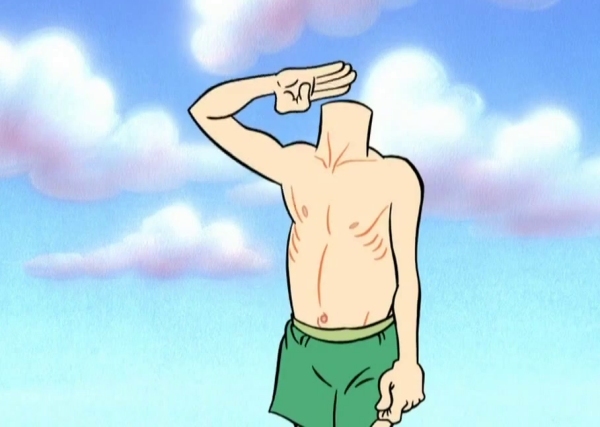 Now the boy has all his senses and doesn't realize he's headless. He sees this curse as a blessing because he and his mother can sell the never-ending butter and become wealthy. But when he returns home, his mother sees he has lost his head and screams; he's like a monster to her. She chases him into the forest, where he becomes trapped in a tree, and remains lost for centuries until the Foundation finds him." There are some people who might find it too abstract otherwise, and others who might find the explanation too silly, maybe too "magical" for their view of the SCP universe, but personally, I like this one both with or without the reasoning behind it. There's not a lot more I can say for a review, but the idea of the Foundation stumbling across a lost fairy tale being, making no sense of it and filing it away is pretty fun. I do apologize, however, for only imagining this kid as looking like the headless boy in that horrible Ren and Stimpy episode.